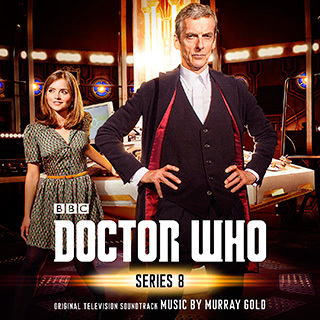 Nine years, 10 albums, 444 tracks, a phenomenal musical output from composer Murray Gold whose much loved scores for Doctor Who reach a new high with this three CD set covering Series 8. A new take on the classic theme coupled with a new theme for the twelfth Doctor launch this lavish collection featuring extensive notes from the composer and music from all 12 episodes over two CDs, the third disc comprising of 14 tracks from the 2014 Christmas Day special Last Christmas. This release tie-ins with the Doctor Who Symphonic Music Spectacular which begins a thirteen date UK tour on May 23rd at the SSE Arena, Wembley. Making its debut in 2012 in Melbourne, Australia, this incredible musical extravaganza has become a fan favourite and displays the extraordinary versatility of Murray Gold’s music for one of the BBC’s biggest worldwide exports. 02 Do You Really Believe In Santa? 05 What Seems To Be The Problem?